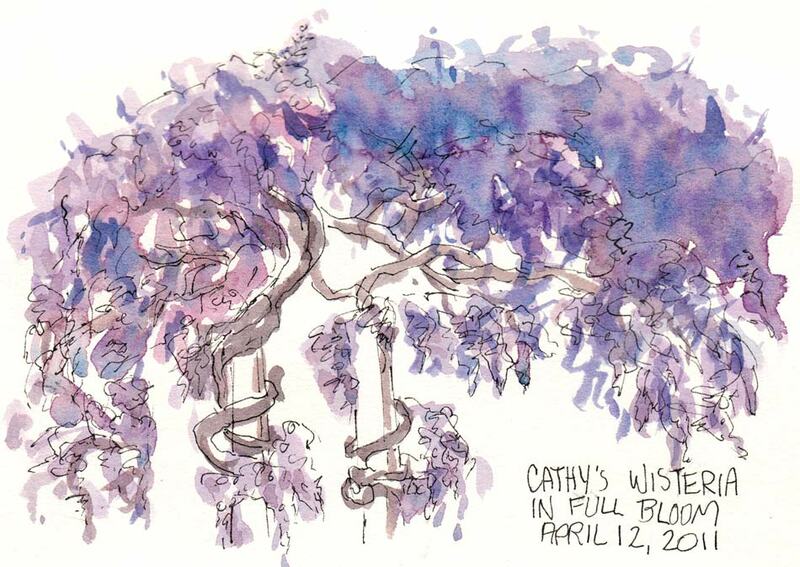 It’s become an annual tradition for our sketch group that when Cathy’s wisteria explodes into bloom she invites us to spend the evening in her serene Berkeley backyard garden sketching and painting. This year it was a cool, foggy evening so we bundled up and drew until our fingers were too cold and the light was gone. Then we went indoors and shared our work while snacking on ginger cookies and pistachios. Our excellent online Berkeley newspaper, Berkeleyside, published this wonderful photo essay “The Hanging Gardens of Berkeley” with pictures of wisteria in brilliant bloom all over Berkeley, in some cases completely hiding the buildings. Sharing art with other sites is fun (and as it turns out profitable). Berkeleyside features my sketches of Berkeley from time to time (linked here) and I’m always honored when they do. Then a few months ago a natural foods specialist asked if she could use some of my paintings on her website. I’m glad I said yes. One of her readers just bought three of those paintings. It’s good to share! Beautiful! 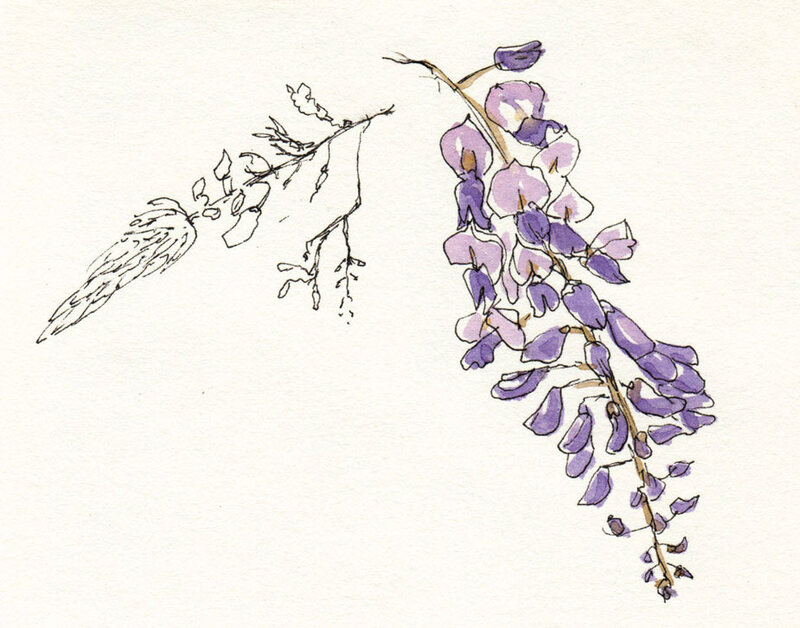 Wisteria hysteria is perfectly understandable!